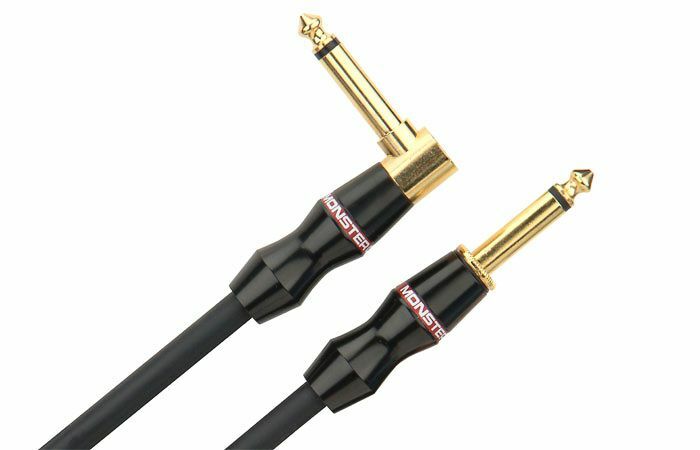 Monster Performer 500 Bass Cable is an application-specific, high performance cable designed to deliver more power, definition and punch. Delivers extended low frequency response, quick transients and wide dynamic range by using solid core conductors, MicroFiber dielectric and multi-gauge wire networks. Ordinary instrument cables can robyour bass of its fundamental low-endpunch. They’re not made to meetthe specific needs of today’s bassist.Monster Bass™ is designedspecifically for bass guitar. Dualheavy-gauge bass conductorsand patented multiple-gauge wirenetworks deliver extended low-endfrequency response and widedynamic range. Patented MicroFiber®dielectric provides quick transientsand full harmonics, while denseshielding reduces interference andhum. Grab a Monster Bass cabletoday and get ready to rumble. 24k hard gold-plated 1/4” connectors with collet strain relief are durable and corrosion-resistant.